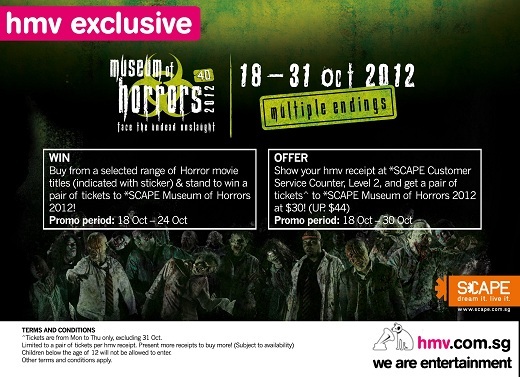 As Halloween lurks around the corner, hmv is giving you a special deal on SCAPE’s Museum of Horrors 2012 – ZOMBIE OUTBREAK! Check out our promo poster for more details! For further information, visit HMV Facebook.